The federal government netted 3,000 new jobs in August, according to the latest numbers from the Bureau of Labor Statistics, marking the fifth consecutive month in which the size of its total workforce has slowly ticked upward. 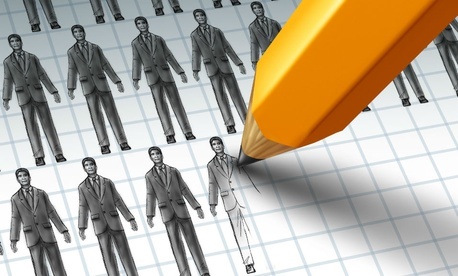 Uncle Sam ended the month with about 2.72 million employees. Civilian agencies added 1,100 jobs, while the U.S. 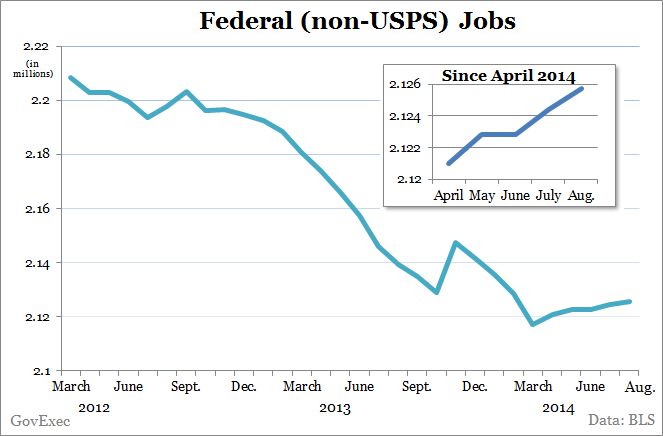 Postal Service saw a similar, and rare, uptick in employment. While initial reports from BLS showed intermittent job losses in the last few months, revisions show federal agency workforces have either grown or remained steady each month since April. The slow growth comes after years of near constant job shedding. The new trend could signal a rebound from the sequestration-induced wave of hiring freezes and attrition measures that crippled agencies governmentwide. Government at all levels -- federal, state and local -- gained 8,000 jobs overall in August. A majority of those gains came from state governments hiring teachers. The U.S. economy overall (total nonfarm payroll employment) added 142,000 jobs last month, and unemployment fell slightly to 6.1 percent. Employment increased the most in professional and business services, as well as health care.